21 Luglio 2017 – W.A.P. 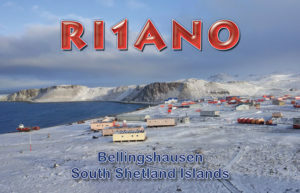 RI1ANO is a a brand new callsign, operated by Alexandr A. Ushakov, UA1OJL, at Bellingshausen Base (WAP RUS-Ø1) on King George Island, South Shetland Islands. 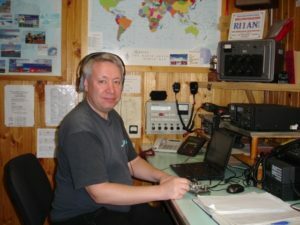 Alex, UA1OJL is active from Bellingshausen station, since April 2017 and will be on till March 2018 operating all bands CW, SSB & Digi on his spare time. 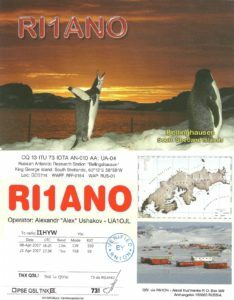 Info for QSL collectors: Contacts from June 2017 and ahead will be confirmed by a different QSL cards (see the sample aside), so do not loose the chance. The Antarctic Treaty Consultative Meeting (ATCM) is the annual meeting for all parties of the Antarctic Treaty to discuss pressing Antarctic issues. Only consultative parties – parties that have demonstrated their interest in Antarctica by ‘conducting substantial research activity there’ – are allowed to take part in decision-making processes. This is the first time that China hosts the ATCM, which attracted a lot of attention both within and outside China. Picture show Chinese Vice Premier Zhang Gaoli addresses the opening ceremony of the 40th Antarctic Treaty Consultative Meeting (ATCM) in Beijing, capital of China.